Preheat the oven to 200C. Butter a large sheet of greaseproof paper and set aside. In a large bowl, mix the flour, sugar, salt and suet together. Slowly mix in the milk to make soft dough. Tip onto a floured surface and knead for a few minutes. 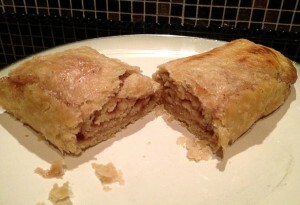 Roll it into a 22cm by 32cm rectangle. 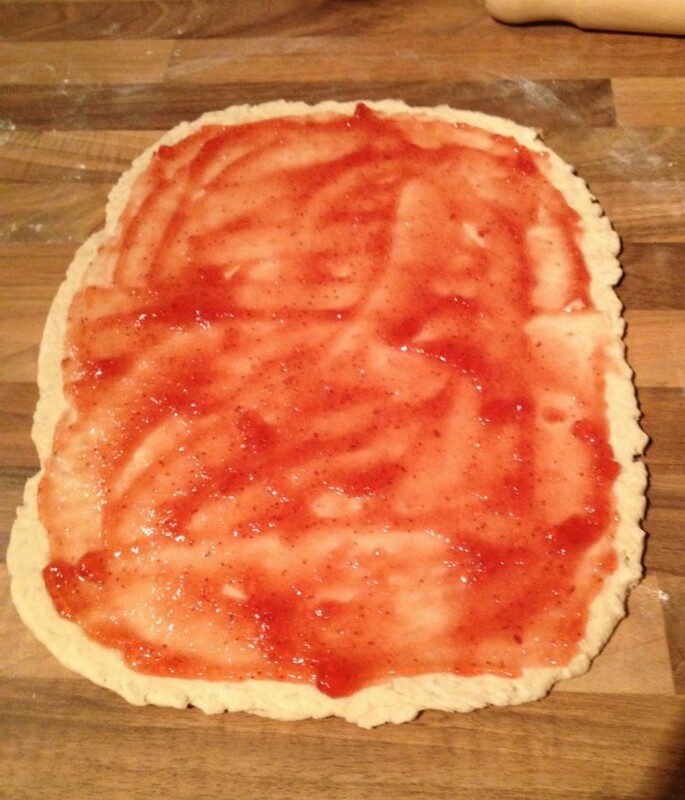 Spread the jam over the top leaving about a 2cm border all the way round. 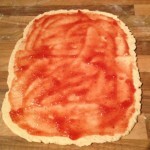 Roll up the dough from the short end and transfer onto the greaseproof paper. 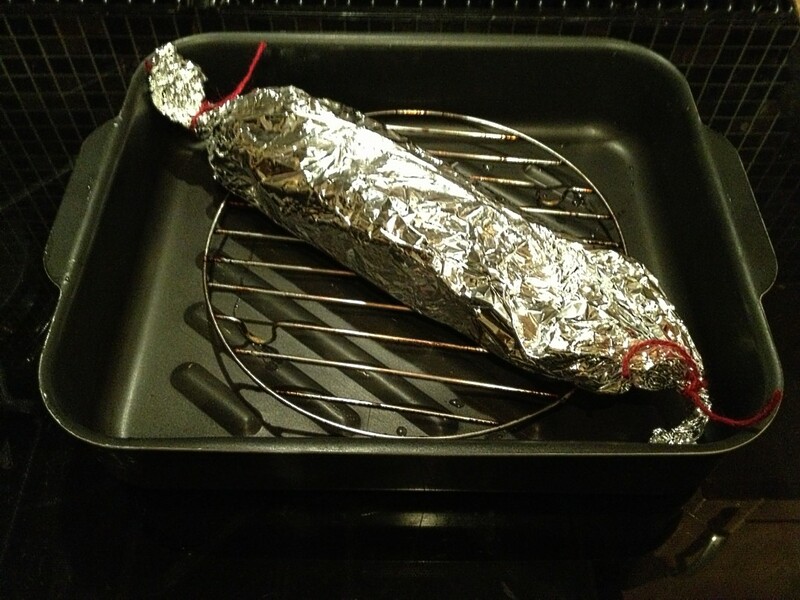 Wrap the paper around it loosely (leave room for it to expand) and do the same with tin foil, tying the ends like a cracker. 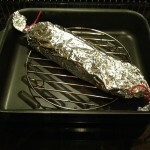 Put it on a rack in a roasting tin and fill up half way with boiling water. Put in the oven and bake for 30-35 minutes. Unwrap, place on a plate and serve with either custard or ice cream. Don’t worry if the jam has oozed out a bit, it will make it all the more tasty. You may try any type of jam you like for a variation.